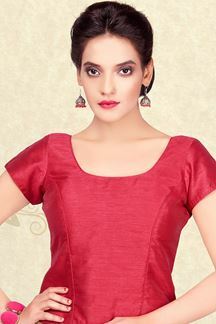 Don this simplistic maroon designer long blouse going plain all over with princess cut pattern for style. 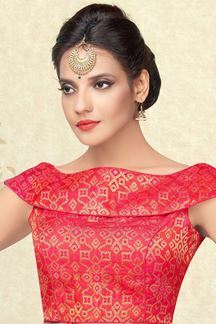 Club a gold resham embroidered saree and a clutch for the regal wedding look! Note: Color may slightly vary due to digital photography.